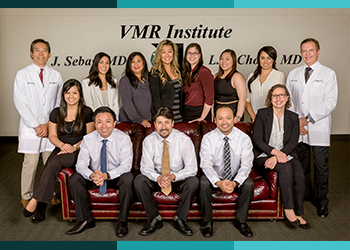 The VMR Institute in Huntington Beach has been a leading facility for the treatment of retinal diseases such as disorders of vitreous, macula, and retina. In addition to providing outstanding care for patients with macular degeneration, diabetic retinopathy, and floaters in the Huntington Beach, Los Angeles, and Orange County areas, our retina specialists Dr. Sebag, and Dr. Chong also lend their expertise and knowledge to medical professionals throughout the country and the world. Establishing and maintaining long-term relationships with our patients is of utmost importance to us. We achieve this by treating you with great care and compassion. We do our best to ensure the you receive the best possible treatment for your particular issue. At VMR Institute, we maintain a fully-equipped center on Beach Boulevard in Huntington Beach. We are conveniently located off the 405 freeway. For your convenience, we provide as much diagnostic and therapeutic care as possible in one visit to decrease the number of visits that may be required. In addition, any necessary surgery can be performed close to home at any of six local hospitals, as well as in Ambulatory Surgery Centers, such as the Newport Bay Surgery Center in Newport Beach.